Estonian producer Taavi Tulev is mostly known for his Wochtzchée project and has completed a new digital/CDr EP called “T400”. The textures of the title track indicate electronica sitting in the front row of the release with compositions moving between electronic clicks & cuts and deep modulations. In “Jääkiired / Ice Rays” fragile layers come up, hovering in the distance like aurora borealis in the Northern hemisphere while the shadowy side with some EBM notes appears in “Masinkaja Masinaga / Machine Delay With Machine”, later flowing into comforting electronica. Dissonant “Algusemaiguline lõpp / The End With A Taste Of Beginning” combines abstract notes with backing synth-pop rhythm. 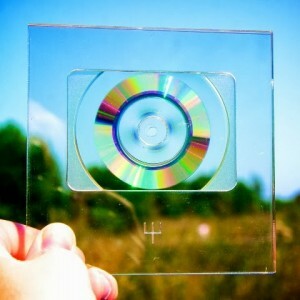 The physical format is a little design wonder as the CDr comes in acrylic glass which can be opened only by breaking it. Because the format holds only 50 MB of data it’s good for one audio track.